She met and married Arthur Whitton in 1961 and was immediately whisked off by boat the Republic of Rhodesia (now Zimbabwe). There she lived the Army Colonial life with daughter Fiona coming along in 1963, and sons Brodie in 1964 and finally Greg in 1969. After the children went to school and they moved to Salisbury (now Harare) she took up office and shop jobs before working for the Surveyor General’s office and finally the engineering section of Air Rhodesia where apparently, she became the pin-up of the hangar! They returned to the UK in 1981 the year after Mugabe came to power as they saw no future there, and returned to Edinburgh initially then East Calder. Her heart remained in Africa and its some consolation that she learned of President Mugabe’s demise before she died. 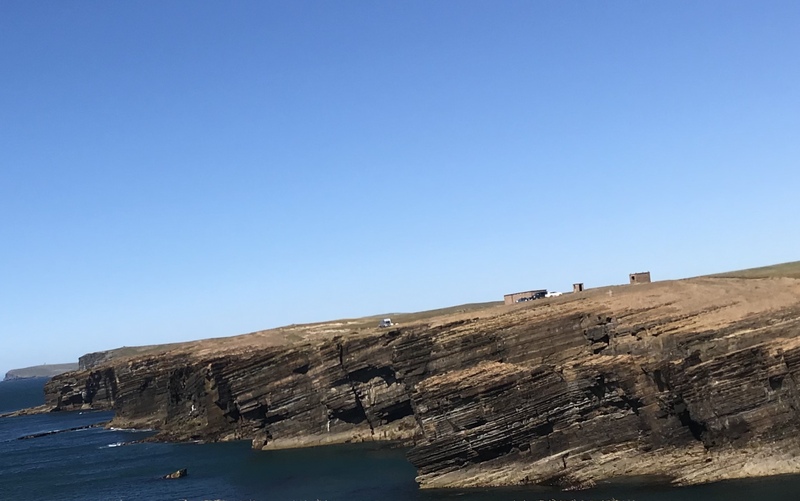 As Arthur failed initially to secure a job here Anne became the main breadwinner working for Scottish and Newcastle Breweries in reception and sales roles and then Hayes Distribution in beer transport. She travelled by bus 15 miles into Edinburgh a 2 mile walk twice each day in all weathers' from 1981 to 1995. I’m told of one story when she fell asleep standing up on the bus! When Arthur passed away with cancer in 1995 and after a holiday to Australia to see her sister she re-thought her life and trained as a counsellor while also opening in premises under the dentist’s surgery in East Calder a nail salon called “Get Nailed” combined later with a spray tan service called “PeelyWally.com”. Andrew had started his surveying practice in the same building in 1999, and when his wife passed away in 2002, Anne started a new relationship with this “boy next door”. 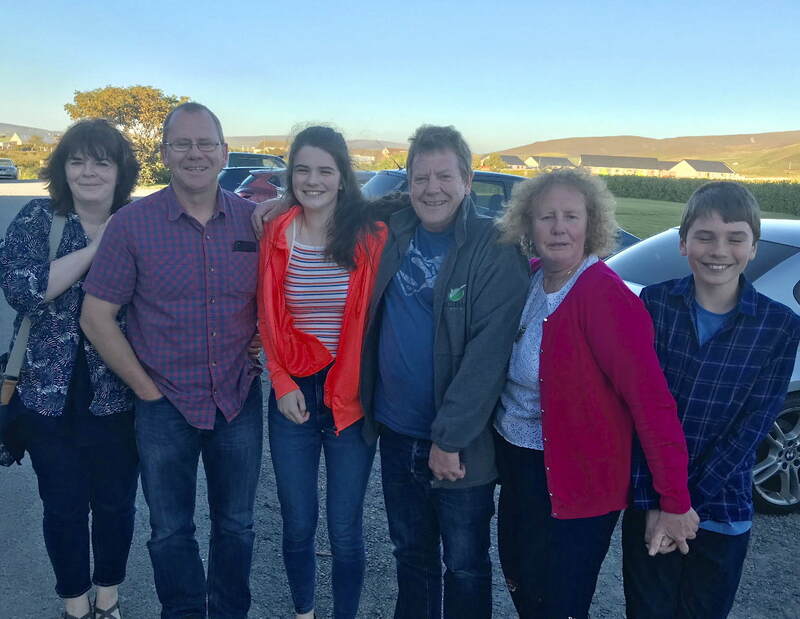 Her son Greg and his wife Anne provided her two grandchildren Tia (15) and Cody (10) and over the last 6 years she has also enjoyed becoming “Gran” to Andrew’s five grandchildren, Murray, Hamish, Douglas, Kari and Roddy, from Andrew’s sons Ewan and Neill. 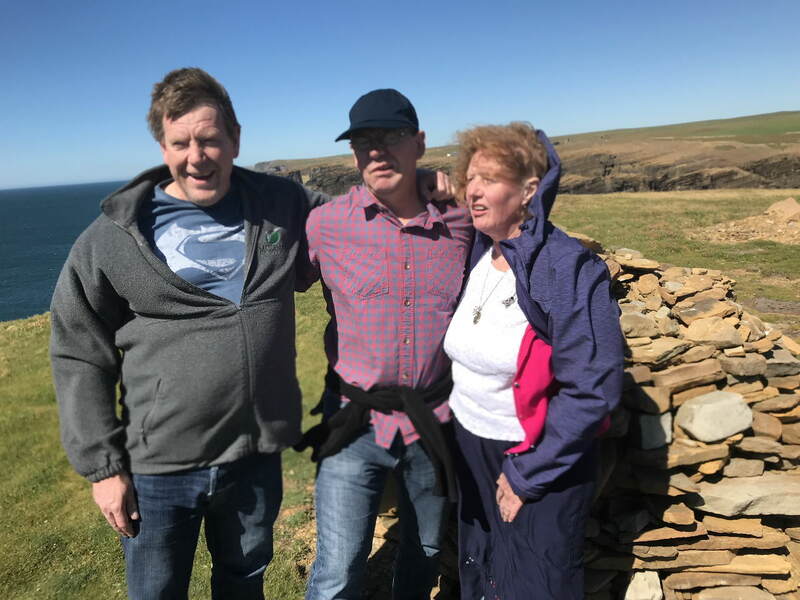 Andrew and Anne were married by Rev John Povey in 2007 in the Kirk of Calder and the reception in Whitburn was what she called the best party she had ever had! After the move to Mid Calder and the lease of her business premises expired she decided to go into a well-earned retrial. On Andrew and Anne’s very first trip away on her birthday, she had in the morning been presented with red silk pyjamas, but Andrew discovered what was in store for the future when she insisted on wearing them to breakfast and then ordering both kippers and a full Scottish breakfast …and no one batted an eyelid! In the last 15 years together with Andrew, they have visited South Africa three times and the US and Canada five times. and Europe on many occasions. From the canals of Amsterdam and Venice to the Coliseum in Rome and the Sagrada Familia in Barcelona. The absolute wonder of the Hubbard Glacier in Alaska to the thunder of The Niagara falls, Table Mountain in Cape Town To Grand Central Station in New York and beaches in Cape Cod, Cyprus and Durban ,they did them all. Many of you will know Anne had an angel box where she put in messages for wishes she wanted to happen not just for herself but for friends or family. From people getting better to success at work or in a new home or relationship it all went in there. Many of her friends unbeknown to them had their wishes recorded and it’s surprising how many came true. How often have you heard her say I’ll put it in my angel box? She was always thinking of the happiness of others. On one occasion for herself she cut a travel article about a cruise she wanted to go on to Alaska, and finally after about five years of going on about it Andrew got round to secretly booking one. when she later pulled out the cutting she discovered that of the 20 the cruise ships doing that route, that Andrew had somehow picked the very ship featured in that article! We should be grateful that we got a rough extra 4 years of her life as she was only given 50:50 chance of survival when four years ago the car she was in left the road and landed on its roof in a field. She spent a month in Intensive care and a total three months in hospital, and came out relatively unscathed. She was however now able to please to say “yes I have” to many cold callers when they asked “if she had been a in an accident in the last four years that wasn’t her fault!” before slamming down the phone! Such is the love she gathered, she has visitors here today that have travelled from Orkney and Shetland, London, Milton Keynes, Stoke, Reading and now through the wonder of the internet this service is being watched in New Zealand, Australia, South Africa, India, USA and Canada as well as Dundee! She was an avid reader of books and was never without a book or more recently her kindle. She was very knowledgeable about the Arts and especially Classical music. Classic FM would be on all day in her nail salon. But she was also a little bit of a ‘rock chic’ too, having seen both Status Quo and the Rolling Stones live! She loved the theatre and especially musicals. When she missed War Horse in Edinburgh because of the accident Andrew managed to secure tickets so she could see it before it closed in London to fulfil a promise made. Anne and her sisters were all talented performers mainly in singing and dancing. how many of us can say they had danced to Jimmy Shand Junior in Dundee, sung the Messiah in Rhodesia and starred in Steppin’ Out at the Howden theatre in Livingston. She was also the acclaimed lead actress in the Livingston players production of Edward” in 1990. Her one regret after her accident was that the tracheotomy left her unable to sing! She was also a talented amateur abstract artist always trying new techniques and medium, while she never formally worked as a counsellor, she provided sane advice I her salon and elsewhere, and would always get the heart of any problem and come up with the right solution. When everyone had left home she decided to supplement her income by taking in lodgers, the first ones turned out to be two “frightened” Indian graduates doing extra courses in Edinburgh. Of the three she took in over the period 2002-4 she is still close friends with two of them. In India she is regarded with goddess status as the woman who became a Scottish mother looking after their precious children in a strange land. It was a triumph when they graduated in the kilts that she persuaded them to wear. She changed so may lives for the better and she left a legacy of love and friendship, she was still in touch with her bridesmaid in a friendship that has lasted nearly 60 years, and has other relationships of over 45 years from Rhodesia days. 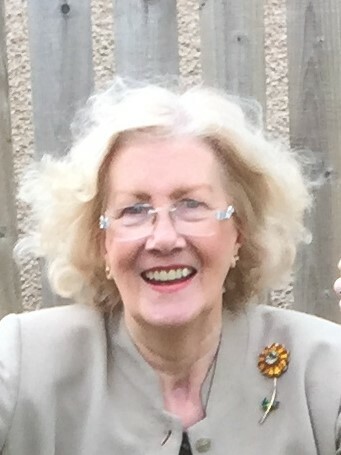 So many people have commented on how she was a special lady, a lovely happy woman, a remarkable lady, a kind soul, a wonderful lady, a dear friend, she really has left her mark on the world and loved and was loved by all. When she got together with friends there would be hours of giggling of all the things they used to get up to. The ashes of her beloved cat Tansy that she visited each month for 6 months of quarantine are in her coffin in accordance with her wishes, loyal to the end! Her final bit of fun was for her funeral colourful clothes for the ladies and “Bad Taste Ties” for the men gives you an idea how her death was so much like her life “full of fun”! We now have received from the Crematorium the the DVD of the service and it can be viewed below. Hymn 550 "Where the deer pants for water"
meant they had to turn back, the Crematorium however managed a to find a recorded version of "The Water is Wide"
sung by Haley Westernra (from New Zealand) who Annie and Andrew had seen performing live on two occasions! 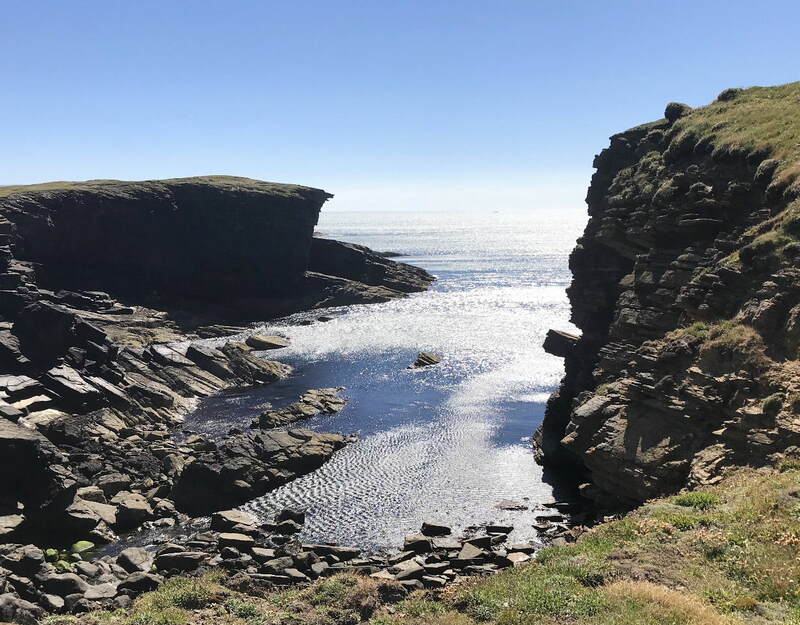 On the weekend 30th June 2018 to 1st July 2018, I travelled up to Orkney with Annie's daughter Fiona, her son Brodie and Brodie's partner Jackie to meet up with her other son Greg (who lives on Orkney) and his wife Anne and her grandchildren Tia and Cody in order to scatter her ashes at the dramatic cliffs of Jesnoby, a place that Annie loved, and every time we visited Orkney - we always had to go to Jesnoby!. Or I’ll scratch you on your head. Your life I would enhance. The Second one was a poem by David Harkins that Annie provided for me when my first wife Ruth died in 2002, but she had reproduced it in her notebook just before she died. In a very odd co-incidence when I got back to the office on the 2nd July, I turned over my Scotsman desk calendar for the new month and the picture was of Jesnoby - for the very weekend we were there!!! !